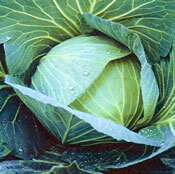 Cabbage is a fiber-rich, leafy vegetable that offers a storehouse of health-benefiting antioxidants. 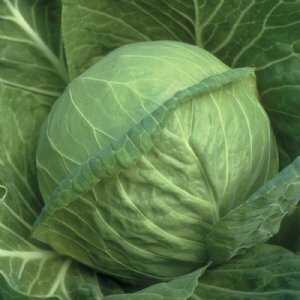 An early variety that produces great-tasting, medium green, 2.5 pound heads that tolerate both cool and hot temps. Produces flat-topped heads weighing up to 30 pounds. Makes excellent sauerkraut!